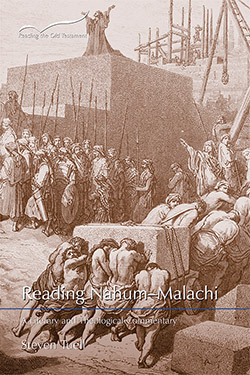 Nahum–Malachi, the last six books of the Christian Old Testament, span the period from the end of the Assyrian empire in the 7th century BCE to the fall of the Neo-Babylonian Empire and the emergence of Persia in the 5th century BCE. But these books also have a collective identity as the latter half of the Book of the Twelve-the ancient Jewish and Christian designation for the so-called "minor" prophets. This commentary maintains a balance between reading each of these six books in its own historical and social setting and considering the interrelationships and canonical functions of these books within the Book of the Twelve as a whole. Jesus ben Sirach wrote that "the Twelve Prophets . . . comforted the people of Jacob and delivered them with confident hope" (Sir 49:10). This commentary, following ben Sirach, proposes that the theme of the Book of the Twelve is a comforting word of hope and deliverance. Steven Tuell is the James A. Kelso Professor of Hebrew and Old Testament at Pittsburgh Theological Seminary, where he has taught since 2005. His research interests are biblical prophecy, particularly the book of Ezekiel and the Book of the Twelve, and the biblical literature of the early Persian Period. An ordained elder in The United Methodist Church, Tuell has served churches in Pennsylvania, New Jersey, West Virginia, and Virginia. He and his wife, Wendy, have three adult sons.